It appears that there is no such company as the Chesapeake Health Insurance Company. For this reason, the Chesapeake Health Insurance Company review is of the Chesapeake Life Insurance Company. The Chesapeake Life Insurance Company is a member of the Health Markets. The Chesapeake Life Insurance Company has received a B++ rating from the A. M. Best Company. Search for the best health insurance rates where you live today by using our free online tool now. Enter your zip code in the box above! The Chesapeake Life Insurance Company has been a trusted insurance provider for over 20 years. With more than 65 million Americans that must buy their life and health insurance independently, the Chesapeake Life Insurance Company is a part of an insurance market that has very few limitations. The Chesapeake Life Insurance Company specializes in insurance policies for the independently insured. 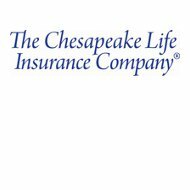 The insurance products offered by the Chesapeake Life Insurance Company are specially designed for families, individuals, small businesses, and the self employed. Some of the supplemental insurance products that the Chesapeake Life Insurance Company offers include accident insurance, cancer insurance, critical illness insurance, dental insurance, disability due to accident insurance, disability due to accident and sickness insurance, hospital confinement insurance, and vision insurance. Accident insurance offers a lump sum from $5,000 to $25,000 dollars for an accident that causes the policyholder to have to be hospitalized. The Chesapeake Life Insurance Company’s cancer insurance will pay between $20,000 and $50,000 dollars if the policyholder is ever diagnosed with cancer. Critical illness insurance will pay between $10,000 and $60,000 dollars when a policyholder is hospitalized due to a specific major illness. The dental insurance offered by the Chesapeake Life Insurance Company can potentially cover between 20 percent and 50 percent of dental procedure costs. The accident specific disability insurance will pay between $1,000 and $2,500 dollars a month directly to the policyholder when an accident causes a temporary disability. The Chesapeake Life Insurance Company also offers a disability insurance options that will pay between $1,000 and $2,000 a month when the policyholder is disabled by an accident or an illness. When a policyholder is hospitalized because of an accident of illness, the hospital confinement insurance option offered by the Chesapeake Life Insurance Company will pay the policyholder directly for each day they have to spend in the hospital. The vision insurance network includes major vision retailers like Target, Lens Crafters, Sears, JC Penny, and Pearle Vision. Along with these individual coverage options, the Chesapeake Life Insurance Company also offers supplemental health insurance bundle packages. Each of the bundle plans that the Chesapeake Life Insurance Company offers include features like benefits paid directly to the policyholder in one lump sum, multiple plan options, no deductibles, premiums that do not increase as the policyholder ages, and no copays. The three bundle package options offered by the Chesapeake Life Insurance Company are the Protect Fit Plus plan, the Hospital Fit Plus plan, and the Personal Fit Plus plan. The Protect Fit Plus plan acts as a supplemental plan that works with the policyholder’s existing health insurance plan. This supplemental bundle adds extra accident protection. The Hospital Fit Plus plan adds special supplemental insurance designed to relieve the financial burden that comes with being hospitalized. This plan offers coverage for outpatient and inpatient diagnostics, transportation services, and rehabilitation therapy. The Personal Fit Plus plan protects the policyholder against the costs of an unexpected illness. This plan helps pay for doctor office copays, diagnostic testing, hospital confinement, surgical procedures, out of pocket costs, and other expenses caused by a severe illness. The parent company of the Chesapeake Life Insurance Company, Health Markets, has two other fully owned subsidiaries. These two other Health Markets subsidiaries are the Mid-West National Life Insurance Company of Tennessee and the Mega Life and Health Insurance Company. The Mid-West National Life Insurance Company of Tennessee sells life and health insurance in the United States and Puerto Rico. The Mid-West National Life Insurance Company of Tennessee does not write insurance in New Hampshire, Maine, Vermont, or New York. The Mega Life and Health Insurance Company write life and health insurance in all states except New York. Compare the health insurance rates of the Chesapeake Life Insurance Company to other companies in your area today. Enter your zip now! The reason you would think that this is a Health insurance Company is that when you are researching health insurance online, if you put you phone number into the questionnaires, this company will call you to try to sell you health insurance. What they do is walk you through the process that you can do yourself online, then they tack on a life insurance policy. It is manipulative at best and taking advantage of those in need of health insurance. It is disgusting and I have been on hold 5 times today trying to cancel a policy through them. You have to cancel your policy through fax which is completely archaic, and I have attempted to fax twenty…yes twenty times today to a fax number that is always busy. If this company calls you….hang up…they will take advantage of you if given the opportunity. Not only did they sell me a life insurance plan I did not need, but they sold me the most expensive one they could find. Even though I just received a call from this company only three days ago, but the review written above sounds to be true. Once I answered their call, the lady was so nice, helpful, but she very slyly drove me to sign a verbal agreement with her company. So far, there is nothing so disturbing about it. But check this: before the end of our conversation, she very willingly and “wholeheartedly” gave me the phone number and the extension in case I had any question. The following day I happened to have an important question, so I did call her, no reply by her, but a voice mail stating her name and asking for my name, phone number and the best time for her to call me. I did leave a message and I was nice enough to give her the latitude to call me at any hour during the day. Yes, you are right: she never did!!! This company really gives you the runaround and never calls back. Filed on a policy over 2 months ago. It really irritates me that we pay the payment on time, but they can’t ever call back for an updated status. No recommendations from us!!!!! Took lots of money out of my account without my permission and do not want to refund it back. I was told all lies and cheated tremendously. Thought I was just getting Blue Cross Blue Shield and magically ended with them stealing money out of my account. For the last week I’ve been trying to cancel a life and health insurance policy through Chesapeake, they maintained that the policy had been canceled but continued to try and debit money from my account. When I called them repeatedly they told me that they weren’t responsible that the draft was sort of robotic and that it would draft again if the first payment was unsuccessful. This they claim is how they set up their bank drafts and is out of their control even after cancellation they gave me the runaround and refused refunds for the overdraft fees which I’d aquired several from them. Oh take some good advice and move on. Do Not Use Chesapeake Life. I was fooled, don’t you be. There are better insurance companies out there. This insurance company is not what they proclaim they are scammers I made my payment every month on time. I attempted the Make a claim for Hospital confinement and they tried to use every trick in the books to not pay. Tried to call the phone No. and kept being sent to “Customer Care” after 3rd trial, a live person did come on the line and asked for my phone No. associated with this policy and then disconnected and never called back. Several attempts to call back kept me on hold till I could not take it anymore and disconnected X 3. Please do not use this insurance. I have paid for supplemental insurance for 2 years now and cannot get a live person to talk to! Is anybody reading this reviews !!!! WTF !!!! How could you write about this company that there is no such a company as this one, bla bla bla and reviews are 1 *. Come on! Anybody!!! Maybe you are right there is no such a BAD company as this one!!!! Who is the president of Company, Who is the Boss???? Anybody care how bad company this is! Is it really your main aid just to trick customers. Obama care was your only one player and only good for you. I had Insurance at work for long long time never been to doctor. And then when I lost my job I had to find new ” Affordable ” Insurance. And well well, there comes predators. Health Care agent asked me what is our budget knowing that I lost my job. I want to have good Insurance but my budget was lower than when I worked. I told him 300 $ and well for sure he found ” good ” one but only for him. He has found Obama care Insurance for only 56 $ but the rest goes to PREDATORS!!!! Chesapeake has cost me 6 times more then I’m suppose to pay for my ” Affordable ” Insurance. I didn’t know that. He didn’t explain anything. He made it to sound good. He told us we are protected with “Emergency ” Insurance until my Affordable starts. And he fooled us for SURE!!!! I was paying for something that I didn’t have to. @50 $ for NOTHING! Then my husband got Cancer and they still played with our emotional and economical situation. I want to cancel but they told me no I have right to be paid for Cancer situation. But 8 months after we Filled Claim NO ONE EVEN CONTACTED US!!!! NO ONE!!! Really!!! Now I have to loose my time and call them, and ask WHY YOU TOOK MY MONEY and do not want to pay money that you have to pay !!!! I have enough problems in my life than to speak with INDIAN guy who knows where he lives and explain over and over !!!! If anybody from this company read this reviews you better do something !!!! You better contact us and do something or this goes viral everywhere !!!! YOU as a Company are the worst!!!! Since 1952 really!!! How many people and poor customers who were paying regularly every month you tricked?????!! !